The term “Abrahamic religions” has gained considerable currency in both scholarly and ecumenical circles as a way of referring to Judaism, Christianity, and Islam. In The Family of Abraham, Carol Bakhos steps back from this convention to ask a frequently overlooked question: What, in fact, is Abrahamic about these three faiths? Exploring diverse stories and interpretations relating to the portrayal of Abraham, she reveals how he is venerated in these different scriptural traditions and how scriptural narratives have been pressed into service for nonreligious purposes. 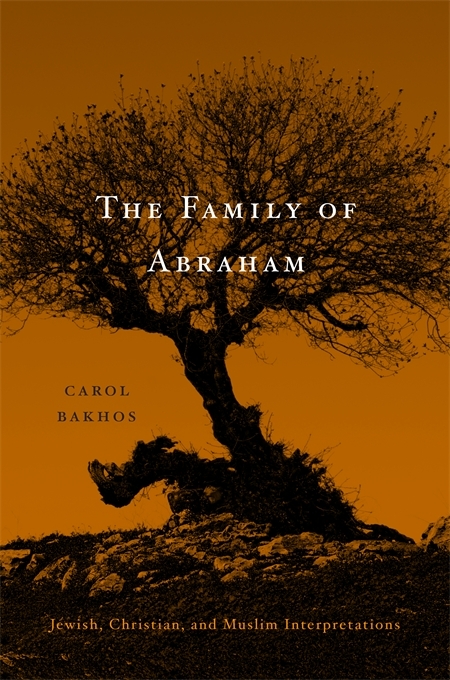 Grounding her study in a close examination of ancient Jewish textual practices, primarily midrash, as well as medieval Muslim Stories of the Prophets and the writings of the early Church Fathers, Bakhos demonstrates that ancient and early-medieval readers often embellished the image of Abraham and his family—Sarah, Hagar, Ishmael, and Isaac. 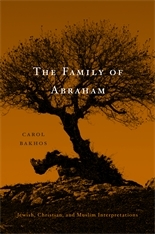 Her analysis dismantles pernicious misrepresentations of Abraham’s firstborn son, Ishmael, and provocatively challenges contemporary references to Judaism and Islam as sibling religions. As Bakhos points out, an uncritical adoption of the term “Abrahamic religions” not only blinds us to the diverse interpretations and traditions of Judaism, Christianity, and Islam but also artificially separates these faiths from their historical contexts. In correcting mistaken assumptions about the narrative and theological significance of Abraham, The Family of Abraham sheds new light on key figures of three world religions.